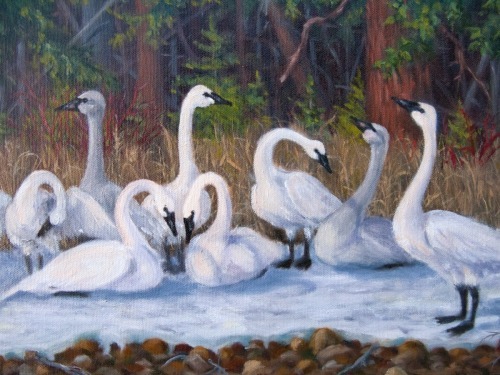 An oil painting on canvas of native Trumpeter Swans near the Clearwater River on Salmon Lake, Montana. 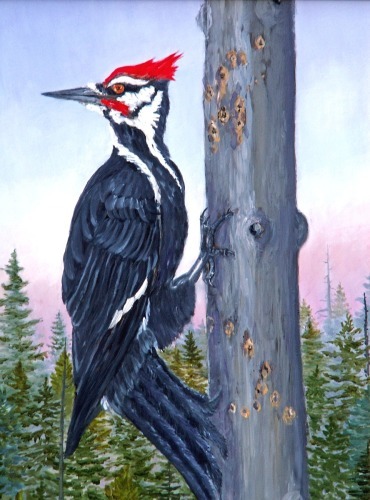 I observed and sketched them on location with the aid of my spotting scope and finished the piece in my studio. 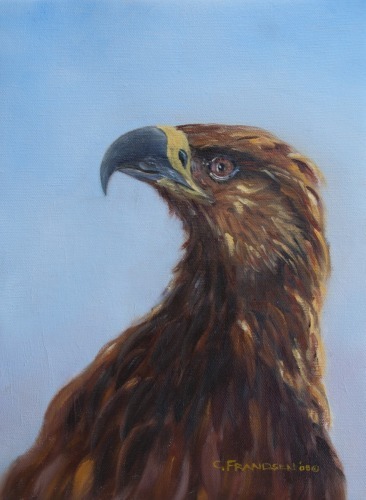 Portrait in oil of a young golden eagle observed near Butte, Montana. 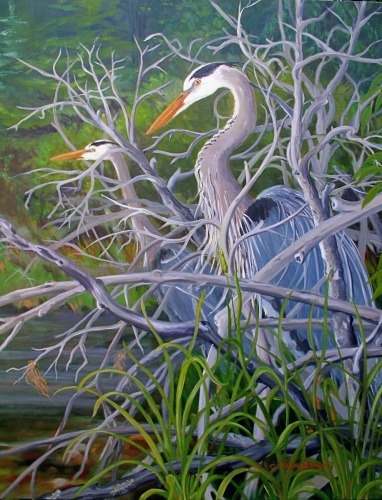 Oil painting of herons fishing and frog hunting on Placid Creek in Montana. 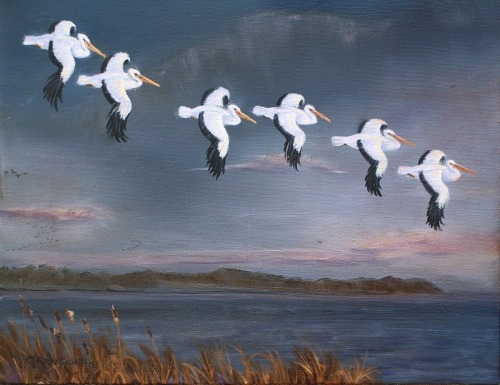 Plein aire oil painting of White Pelicans gliding in at sunset on the Mississippi River near LeClaire, Iowa. 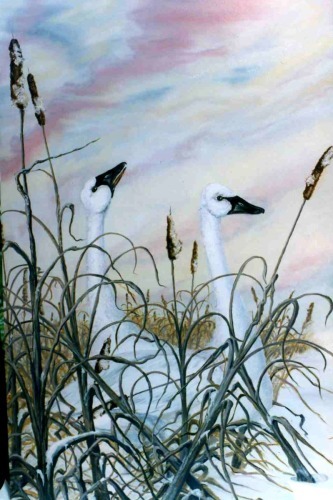 Oil painting on a hardboard panel of a pair of Trumpeter Swans on the ice near Placid Lake, Montana. 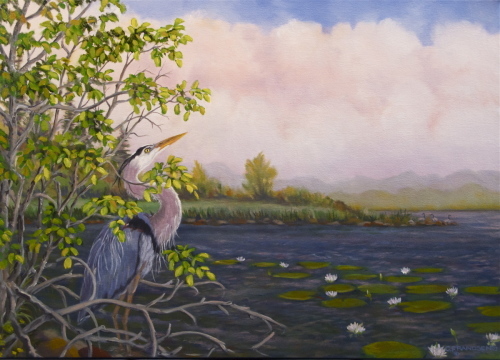 Oil Painting of a Great Blue Heron at dawn as a storm approaches. 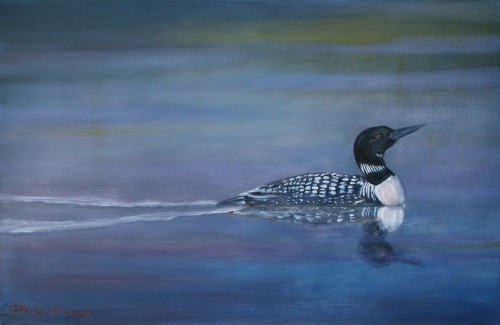 Oil Painting of a Golden Eagle with it's prey, a Green Racer Snake.